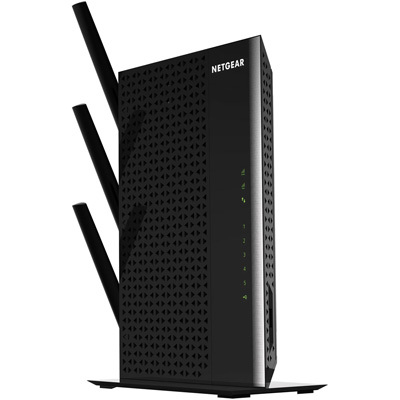 The NETGEAR Nighthawk AC1900 WiFi Range Extender boosts your existing network range & speed, delivering extreme dual band WiFi up to 1900Mbps. The 700mW high-powered amplifi ers provide extreme range, while the dual core 1GHz processor enables maximum WiFi performance. It works with any standard WiFi router & is ideal for HD video streaming & gaming. Get the whole-home connectivity you need for iPads, smartphones, laptops & more. Improve your mobile WiFi speeds by up to 100% with AC1900 WiFi Range Extender! Dual core processor, 700mW high-powered amplifiers & three external antennas help extend WiFi coverage throughout large homes and even backyards. With signals locked onto your device, experience what it really means to be mobile! With five Gigabit ports that act as a WiFi bridge, the AC1900 WiFi Range Extender is also ideal for connecting up to five devices like gaming consoles, smart TVs and streaming players to your WiFi network, upgrading all of your entertainment devices to 11AC speed in a single shot. WiFi Range Extenders boost your existing WiFi & deliver greater wireless speed, range & connectivity you desire for iPads, smartphones, laptops & more. WiFi Tech and Range Up to 10,000 SQ. FT.
NETGEAR Warranty This product comes with a limited warranty that is valid only if purchased from a NETGEAR authorised reseller. 1 Works with devices supporting Wi-Fi Protected Setup (WPS). Data throughput, signal range, and wireless coverage per sq. ft. are not guaranteed and may vary due to differences in operating environments of wireless networks, including without limitation building materials and wireless interference. Specifications are subject to change without notice. The product may not be compatible with routers or gateways with firmware that has been altered, is based on open source programs, or is non-standard or outdated. 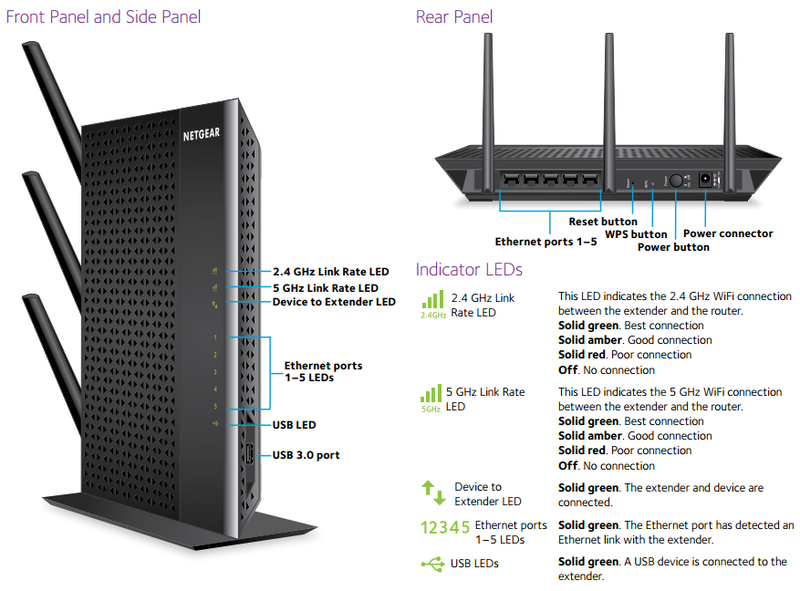 Download the NETGEAR EX7000 Datasheet (PDF).